Twitter. Bulletin boards. And even internet chats. These are all forums of communication and public record. According to an alleged leaked memo, McDonald's Japan branch has drawn up a list of things that are okay—and not okay—to say online. But in the process, McDonald's just spawned a new meme tearing up Twitter among delicious burgers. Let's dig in. 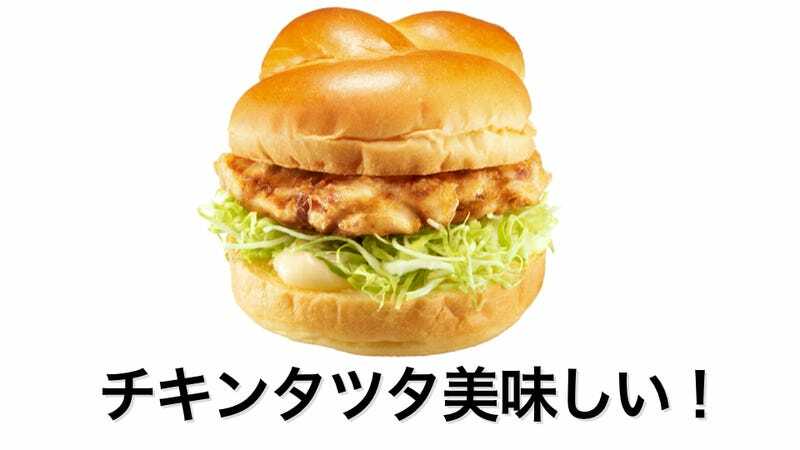 Japanese website Get News first published the leaked memo earlier yesterday (Kotaku reached out to McDonald's Japan today, but did not get a reply). The alleged memo, titled "Rules Concerning the Use of Social Media" (ソーシャルメディアの利用に関するルール), is a laundry list of things that seem like common sense for employees of large corporations, such as not saying things which might hurt people's feelings. Examples of bad online comments were saying customers were "gross" or saying bad things about handicapped people as well as writing online when celebrities swing by local McDonald's branches. Other things the alleged leaked list touched on was leaking information—yes, the irony should not be lost. The alleged memo does ask employees to show their support for McDonald's, giving this now infamous example of a good online comment: "Chicken Tatsuta is delicious! It's my favorite burger! (チキンタツタ美味しい！一番好きなバーガーです！ or "Chikin tatsuta oishii! Ichiban sukina baagaa desu!") That comment has quickly become a meme in Japan and is currently tearing up Twitter (search here to see the flood of Chicken Tatsuta tweets). The tweet rush is believed to be from users of 2ch, Japan's largest bulletin board, who are perhaps perturbed by these apparent attempts to dictate online speech. Or maybe they just love a tasty burger. Last fall, a McDonald's employee got in a tweet spate after some teens held a "potato party", buying an unreal number of french fries. Get News believes that the current sixty second campaign McDonald's is running in Japan has prompted the fast food chain to supposedly mete out these rules of online behavior for employees, so they don't use the internet as a space to vent. And now, I'm hungry for a Chicken Tatsuta. You know, it's my favorite burger.